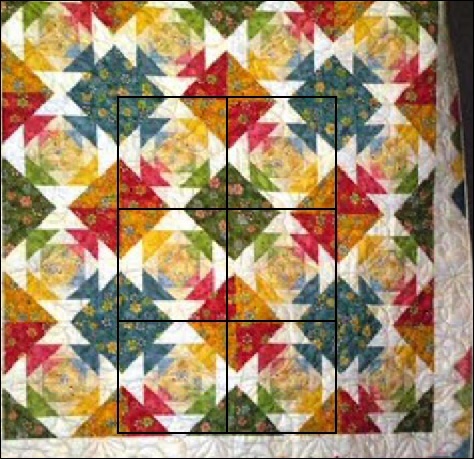 How do you make this quilt (can't figure out where the blocks are)? Thread: How do you make this quilt (can't figure out where the blocks are)? I really really like the 3rd quilt down (the floral blue, green, yellow and red one). Do you know what the pattern is or what the block is? I can't figure out if it is on point or where the block is? It is a pineapple block along with a square and then a half square triangle. I saw a tutorial on this just this week, but for the life of me I can't remember where. Good Luck! Lots of beautiful quilts on that site. I'm sure it is a pineapple. Yes, it's a pineapple quilt. Can be done either with strips or square-in-a-square technique. she swims! she runs! She Quilts!?!? FYI there's a free Pineapple pattern on Eleanor Burns' Quilt in a Day website. It looks very similar to Bonnie Hunters Pineapple Quilt on Quiltville .com I have done it. Or, you could look at this as a snowballed square within a square, within a square, within a square. Maybe this colorway will help you see it. I believe that is from Karin hellaby's sew simply pineapple 2 book. I have seen her do it on you tube also but can t figure out how to link from my I pad. "You may be sorry that you spoke, sorry you stayed or went, sorry you won or lost, sorry so much was spent. But as you go through life, you'll find you're never sorry you were kind." It might the Simple Pineapple Plus pattern..super easy to make..I taught a class and the gals were amazed at the simplicity of the entire process. To identify any quilt, look at a corner. Check the left corner on this quilt. 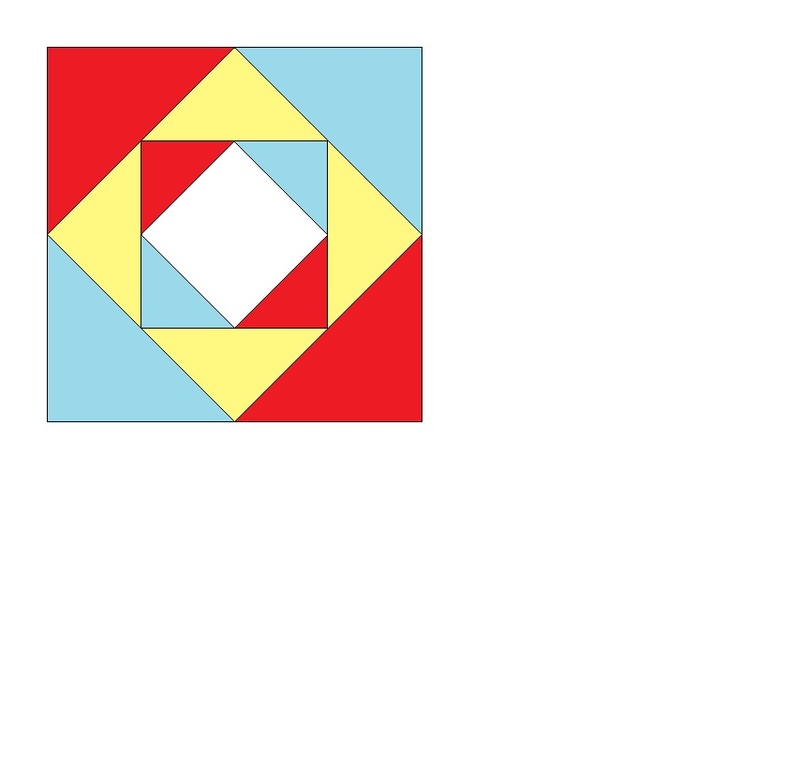 It's bounded by large triangles: starting from the bottom right and going clock wise the triangle colors are yellow, green red and teal (this corner forms a secondary pattern all comprised of teal). Best wishes with your quilting. It's a lovely quilt. This quilt is made up of all identical blocks. The blocks are a pineapple pattern. The colors have the same placement in each block. The effect is made up by rotating the block every time. Really neat pattern. Jan's layout is the pattern used. Here is the pineapple block. It is the same block just turned to make the corners match. I love all the things I learn here. This is great, the pattern and how Jane showed us the block. I think this one is going on my list. This is what I thought of. It would be easy to do this way. Those who can, teach. Those who can’t teach get into some less significant line of work. I really like it too. You got great help here! Thank you to everyone for your help. Daisy Dew, you found the exact pattern used. I am so excited. I also watched the youtube on the making of this quilt and it looks interesting. I am wondering how accurate that method is (I usually have the most success squaring up my blocks at regular intervals to keep them square and the right measurement).